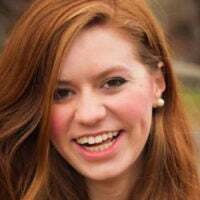 Meridian Paulton is a research assistant with the Institute for Family, Community, and Opportunity at The Heritage Foundation. Advocates of single-payer health care—like Sen. Bernie Sanders, I-Vt., with his “Medicare for All” legislation—suggest Americans would enjoy a health care utopia if only the government took over. But claims of lower costs and better, more efficient care are widely overblown. Here are the facts. A “single-payer” health system is a government-controlled health care system. Government is the “single-payer.” In most versions of single-payer, most private health insurance is either outlawed or restricted, and most public health programs are absorbed into the single, national health insurance program. While there are a variety of “single-payer” proposals—including several state proposals—Sanders’ “Medicare for All” bill is the most prominent. His plan would finance the national insurance program through a combination of payroll and income taxes, and it would replace private and employer-sponsored health insurance and existing government health programs—including Medicare itself. Under the Sanders plan, only the Veterans Administration and the Indian Health Service would remain largely as they are today. 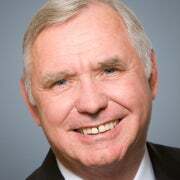 Economist Kenneth Thorpe of Emory University estimates $24.7 trillion in additional federal spending, and also estimates an average deficit of $1.1 trillion per year. The Center for Health and Economy estimates a 10-year net cost of up to $44 trillion, and an annual deficit of $2.1 trillion. Would Single-Payer Reduce Administrative Costs? Advocates argue that single-payer would save the nation money by reducing administrative costs, eliminating the administrative expenses of marketing and advertising private health insurance, managing private benefits and utilization, and securing profits. Advocates claim that administrative costs would be much lower in a Medicare-like system than under a system dominated by private insurance. Payment would be based on the Medicare model, where annual administrative costs are about 2 percent of total costs. But pointing to Medicare’s low percentage of administrative costs is over-simplistic and misleading. Per capita administrative costs may be higher in Medicare. For instance, in 2009 they were $509 in Medicare and $453 in private insurance. Medicare costs are lower as a percentage of the total only because total claims costs tend to be much higher in Medicare than in private insurance. This is because Medicare’s older and less healthy population file the claims costs. Medicare shifts administrative costs to doctors, hospitals, nursing homes, home health agencies, and other medical professionals who must comply with Medicare’s huge and complex regulatory requirements. Compliance with tens of thousands of pages of Medicare rules, regulations, guidelines, billing, and other paperwork requirements consumes vast amounts of time, energy, and effort on the part of the private-sector professionals who participate in the Medicare program. Medicare fails to effectively control waste, fraud, and abuse in the program. This failure of administration results in the staggering loss of tens of billions of taxpayer dollars each and every year. Private-sector health plans, policing their billing, have no comparable record in accumulating such enormous losses. How Would Single-Payer Control Health Costs? Single-payer would control costs by capping the amount spent on health care through a global budget, imposing a system or price controls or payment reductions on doctors and other medical professionals, or some combination of both. In a normal market, cost control is a function of supply and demand. Where there is no market, there are no such market forces, and the control of costs must be ultimately an administrative or legislative function. Government officials cannot control demand—they can only control supply. So, in effect, cost control in the single-payer system is inevitably supply control. Control over the supply of medical services is secured through a global budget, price controls, or regulations on payment and price. Under the Sanders proposal, for example, cost control is secured by a global budget and by imposing Medicare payment rates. 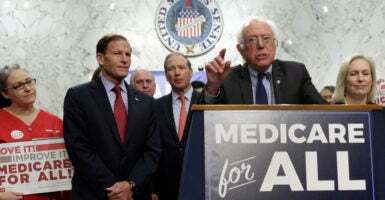 Blahous, a former Medicare trustee, estimates that under the Sanders proposal, provider payments would be cut by an estimated 40 percent by using Medicare payment rates. Would Taxes Go Up Under Single-Payer? The tax burden would be enormous, roughly doubling the current tax obligations for today’s taxpayers. 71 percent of all working families. 85 percent of taxpaying Medicaid recipients. 66 percent of taxpaying Medicare recipients. 65 percent of young adult workers. 57 percent of workers in firms under 50 employees. The bottom line: Compared to what most Americans pay for health care today, a fully funded program—as envisioned by Sanders—would cost more for 71 percent of the nation’s working families, including low-income families, according to Thorpe. Would Everyone Get Equal Access to Health Care Under Single-Payer? No. The British and Canadian experiences with single-payer demonstrate that universal government coverage is not the same thing as universal access to quality care. Moreover, social inequalities in accessing care, based on wealth or political influence, are often exacerbated. In 2017, Canadians were on waiting lists for an estimated 1,040,791 total procedures. Often, wait times are lengthy. For example, the median wait time for arthroplastic surgery (hip, knee, ankle, shoulder) ranges from 20 weeks to 52 weeks. In the British National Health Service, cancelations are common. Last year, the National Health Service canceled 84,827 elective operations in England for nonclinical reasons on the day the patient was due to arrive. The same year, it canceled 4,076 urgent operations in England, including 154 urgent operations canceled two or more times. Times of high illness are a key driver in this problem. For instance, in flu season, the National Health Service canceled 50,000 “non-urgent” surgeries. In Canada, private insurance is outlawed (as it would be under Sanders’ proposal). In 2017, “an estimated 63,459 Canadians received non-emergency medical treatment outside Canada.” In Britain, private insurance is permitted—but it is an additional cost to the taxes that British citizens pay for the National Health Service. Escaping the system is an option for the wealthy, or for those who are willing to forego other expenditures to get the care they want or need. Government-run health care cannot deliver on its promises. It would impose unprecedented taxes on Americans, deliver subpar care to patients, and put government in charge of personal health care decisions. Americans deserve better.